Can't get enough Titanfall? It's hitting iPhone, iPad and Android later this year. 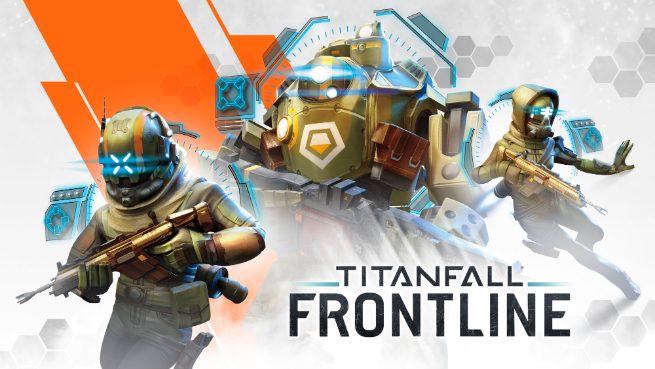 Titanfall: Frontline is the next entry in the Titanfall series, supplementing the upcoming release of Titanfall 2 later this year, though it might be a little different from what you expect to see from Respawn Entertainment. It's a strategy card game that recruits players to be brigade Commanders while squaring off against other players with Pilot, Titan and Burn Cards to simulate a real Titanfall 2 match. The game is being created as part of a collaboration between Nexon, Respawn Entertainment and Particle City. It's actually going to extend across multiple years with all three companies involved, so it seems as though there'll be additional mobile Titanfallgames coming down the pipeline as well. The game will be available on the App Store for iPhone and iPad users and Google Play for Android owners for free later this fall. Like most mobile card games, there will be a wide variety of cards to choose from when building your decks, so players can upgrade units, build IMC or Militia squads according to how they play the game. It's not clear yet if the game will feature cards that can be purchased with real money in the form of booster packs and special edition cards a la Hearthstone or several others of the popular mobile card games out there, but since the game's free-to-play and is backed by Nexon it's a very strong possibility. This is a great way to expand the Titanfall universe further, and should arrive just in time for players to keep the hype up for Titanfall 2 when it finally drops.